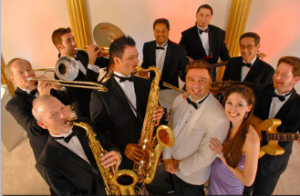 As a premiere LIVE Southern California wedding band, we spend a lot of time helping others celebrate. Whether it’s your big wedding day, your company’s corporate event or fundraiser, or your daughter’s Quinceañera, Tino Productions & Tino Productions Entertainment specialize in making your event amazing with the best LIVE music in the business! 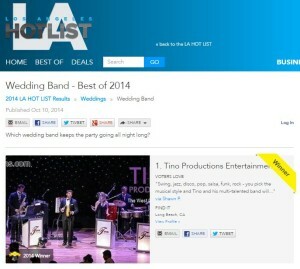 So when Tino Productions Entertainment recently captured the title of the Los Angeles HOT LIST’s Best Wedding Band we wanted to do a little celebrating of our own. This means that L.A. residents voted and said we’re the best Wedding Band in Los Angeles, and we couldn’t be more proud to share the honor. We have some of the best fans around and it’s because of you all and your support that we won, so thank you. 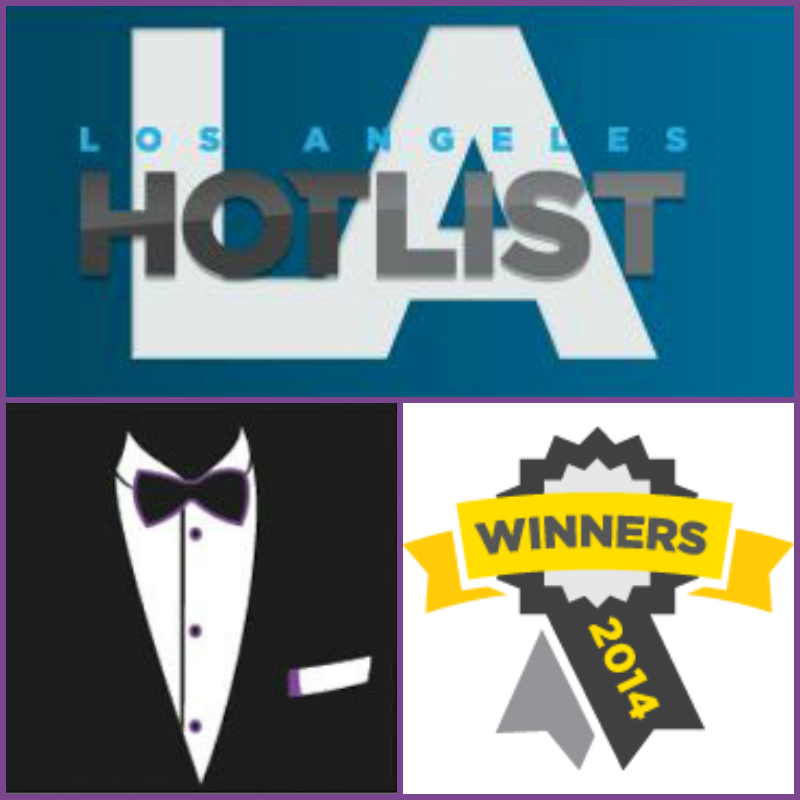 The LA HOT LIST features more than 7,000 of the Los Angeles area’s best local businesses, places & people and celebrates the best in the local Los Angeles area. The competition was tough this year as we beat out over a dozen other great bands for the title of Best Wedding band in Los Angeles! Next up – the Orange County HOT LIST! Vote and help us capture the title for Orange County as well!